What is that great golden bowl of flames on a tall column between the buildings at the end of London Bridge? It is called the Monument. It is a permanent reminder of an almighty conflagration. 83 churches were destroyed, 13,000 people were made homeless and 4/5ths of the City of London was consumed by a raging fire in 1666. The Great Fire of London lasted 4 days and changed the face of the City forever. If you climb the 311 steps of the spiral staircase to the very top, you will be rewarded with a spectacular 360 ° view of London from under the gilded copper urn of flames. For only £5 ( £3.30 concessions) you can follow in the footsteps of Sir Christopher Wren and his colleague Robert Hooke, those two men of genius who designed the Monument not only to commemorate the Great Fire but also to help in their experiments. 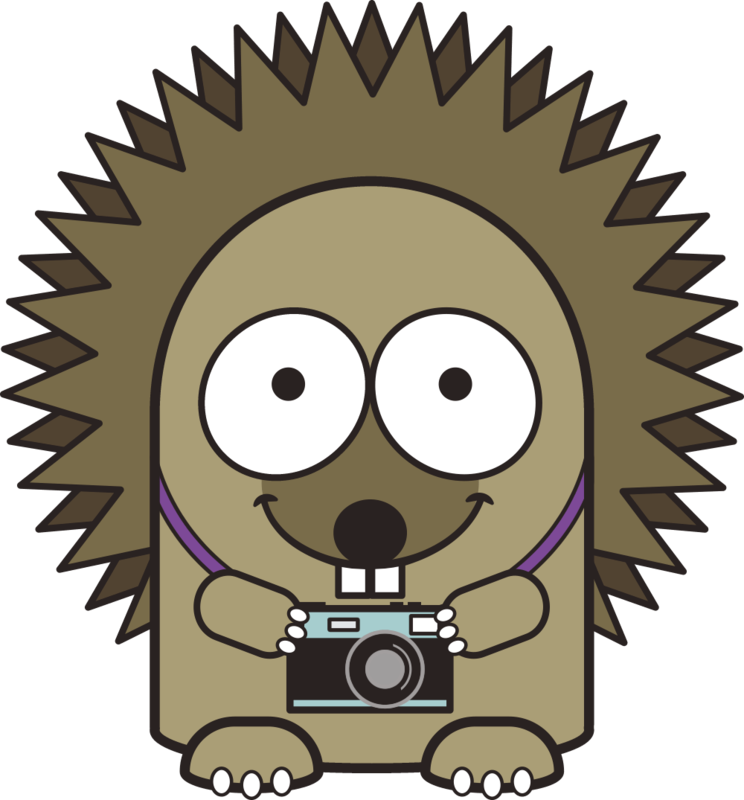 If you complete the climb you will receive a well- deserved certificate. Standing in the City between Monument Street and Fish Street Hill, a few meters from Monument Underground Station, it is the tallest freestanding stone column in the world. 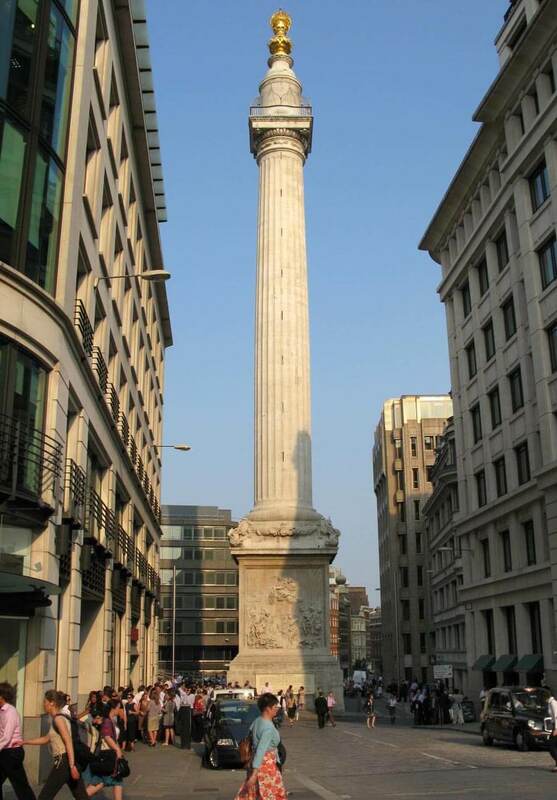 The monument is 202 feet high; if it were laid on the ground on its side the Monument’s flames would rest exactly where the Great Fire started, the baker’s shop of Thomas Farynor ( baker to King Charles II at the time), located on Pudding Lane, from where the real flames spread rapidly. Between 1671-7 Sir Christopher Wren, general superintendent of King Charles II and architect of St. Paul’s Cathedral, and his friend and colleague, Dr Robert Hooke, designed and built a colossal fluted Doric column, following ancient classical patterns. This project consisted of the construction of a stone spiral staircase, with 311 steps that lead up to a viewing platform surmounted by a drum, and a gilded copper urn graced with flames, that symbolizes the Great Fire. They used it as a telescope a thermometer and a measuring instrument. 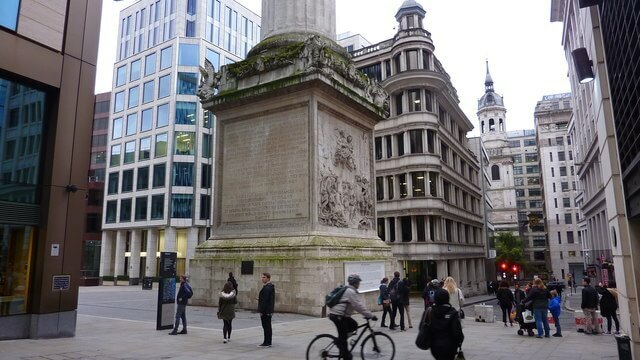 Take a look at the base of the Monument too whilst you are there! On three sides of the large cubic base of the column are several inscriptions in Latin and a carving made by Caius Gabriel Cibber, which represents the destruction of the city during the Fire; displayed are King Charles II and his brother, James, Duke of York (later James II), surrounded by the symbols of Freedom, Architecture, and Science, which provided guidance for the restoration works. It is well worth a visit, and get the certificate too!